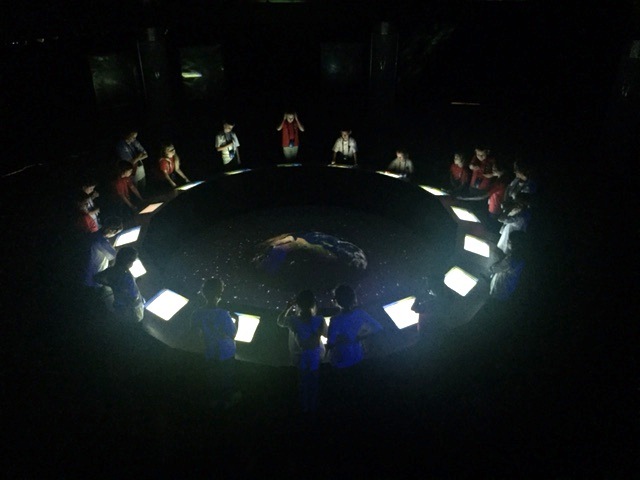 Grade 5 spent a successful and fun week “in space”. They started off in high spirits looking forward to their mission. 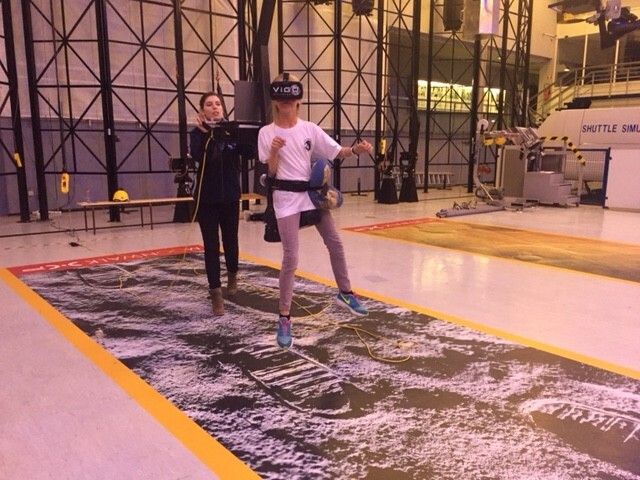 Marie: I really enjoyed doing the moon walk and the rocket building, I hope I can do it again with my family. Annika: You got to walk like astronauts would on the moon and that was terrific! David: The space ship simulator was very exciting! Elli: We had to memorise all the controls in the spaceship which made you realise the whole mission could be effected if you pressed the wrong button. Calla: You actually felt like you were out in space when you were fixing the satellite. 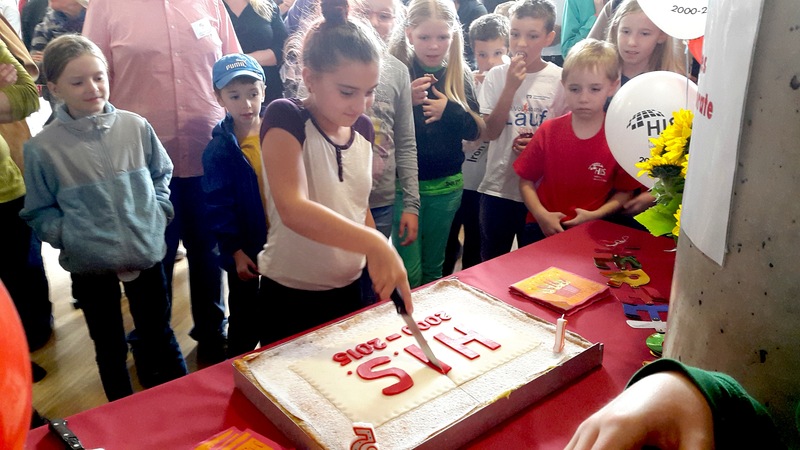 Students were welcomed back on earth in Heidelberg by their parents. 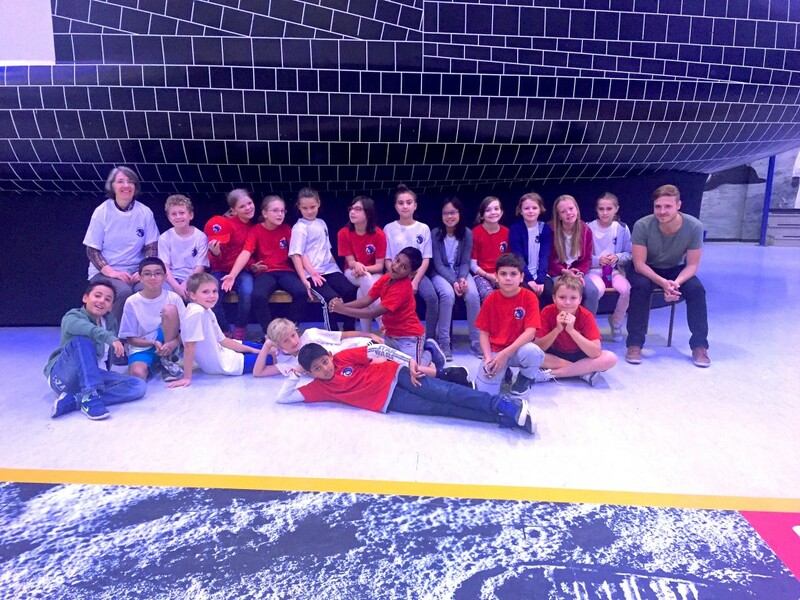 A big thank you to Margaret Burch and Glenn Meldrum for looking after the Grade 5 astronauts during their mission. "Houston, we have absolutely no problem at all!" 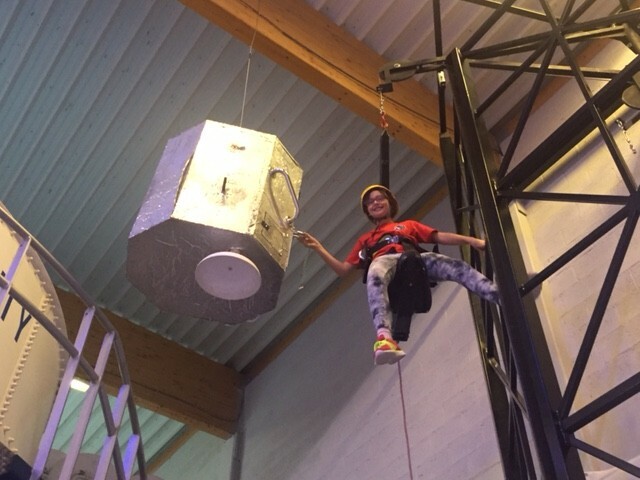 Grade 5 students are having a great time at Space Camp. Everything is going really well despite the rainy weather. The “crew members” enjoy indoor space activities. Everyone is full of energy and questions! Today the students have free time in the afternoon. 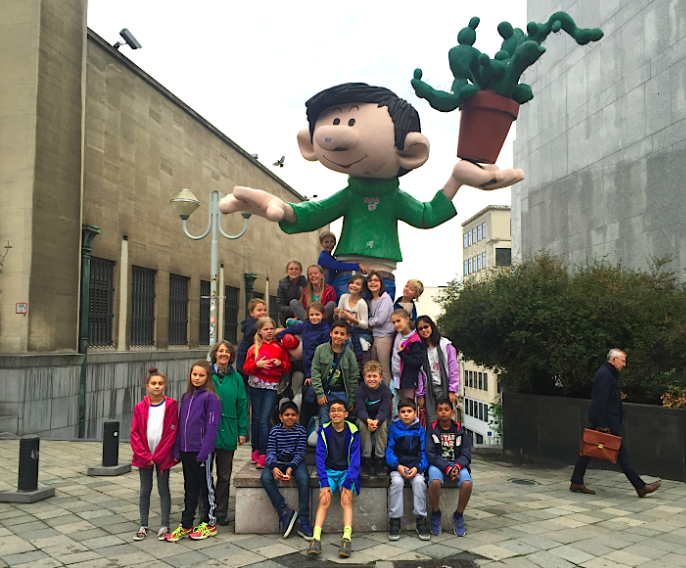 Therefore, they are going to visit the Comic Strip Museum. Incredible events today: Some students are doing a simulation mission to send a shuttle into space. Others are doing investigations connected to our atmosphere. “Let’s celebrate” seemed to be the motto of the H.I.S. Fun Fest this year. The H.I.S. 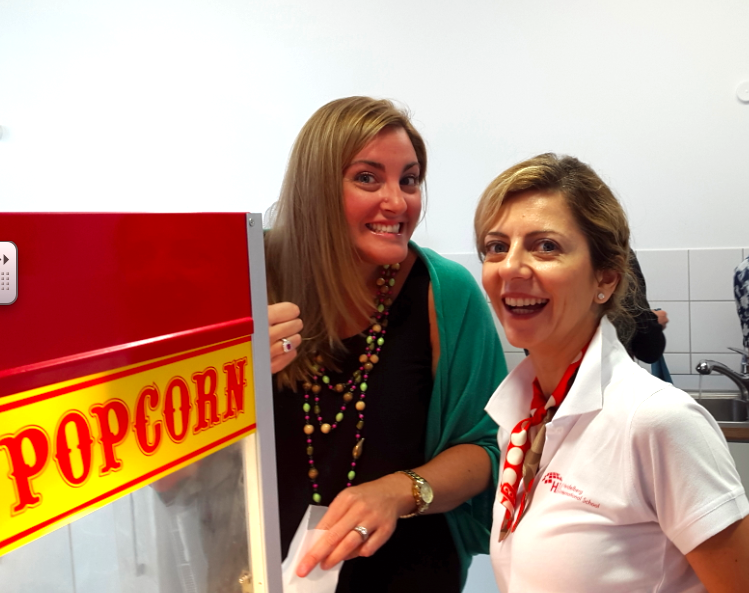 community enjoyed activities and international food together with special guests and friends of the school. 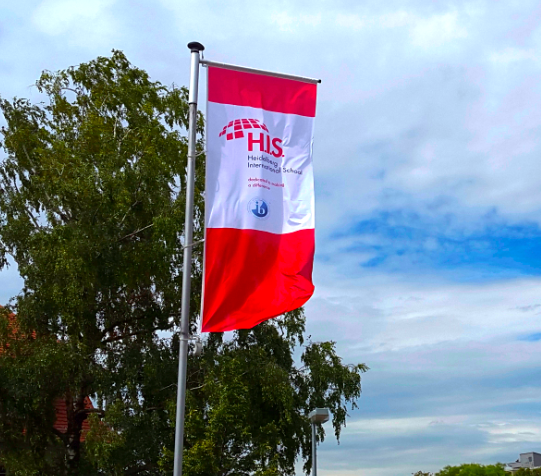 Dr Eckart Würzner, Mayor of Heidelberg, congratulated H.I.S. for its achievements over the past years, especially the Accreditation by the Council of International Schools (CIS) and the New England Association of Schools and Colleges (NEASC), which the school was awarded last school year. 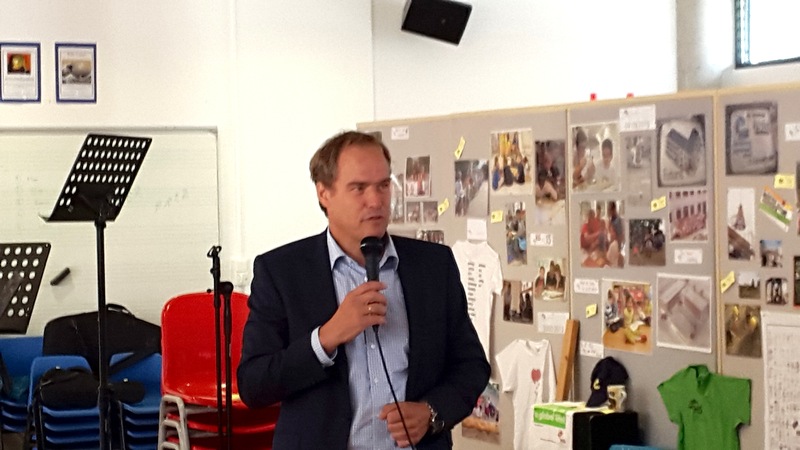 In his speech he pointed out that parents had made an excellent choice by coming to Heidelberg and sending their children to Heidelberg International School. 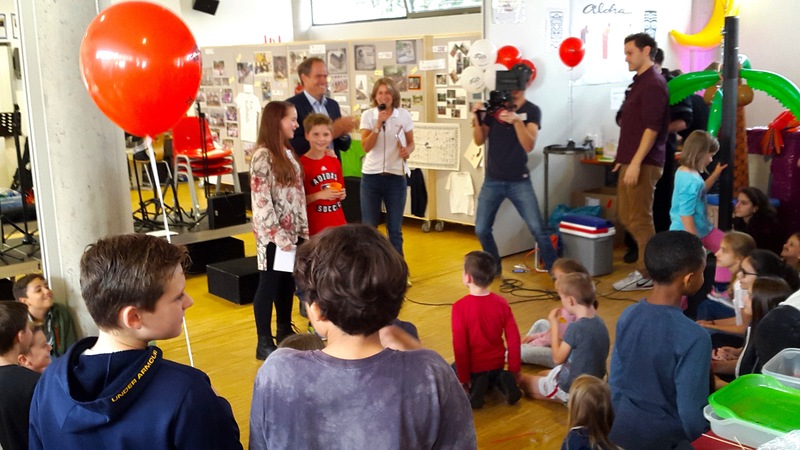 After Dr. Würzner’s speech the winner of the Mascot Competition was announced: Congratulations to Nathan and Hannah for their contribution, the “Heidelberg Hedgehog”. In the H.I.S. 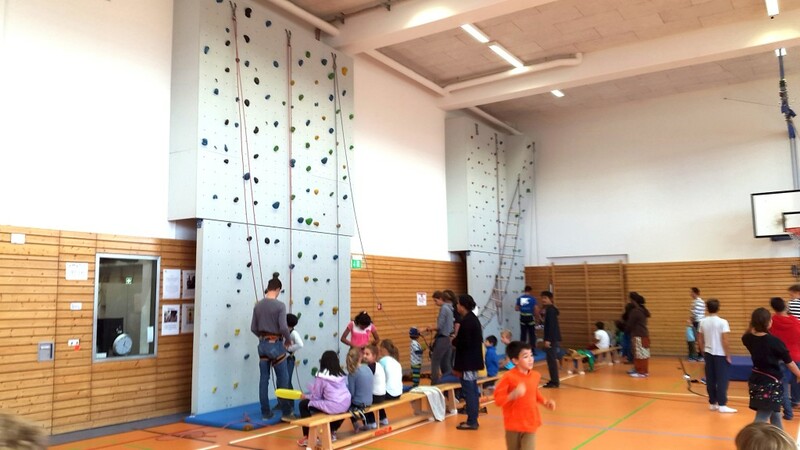 Gym, everybody had the chance to try the climbing walls. 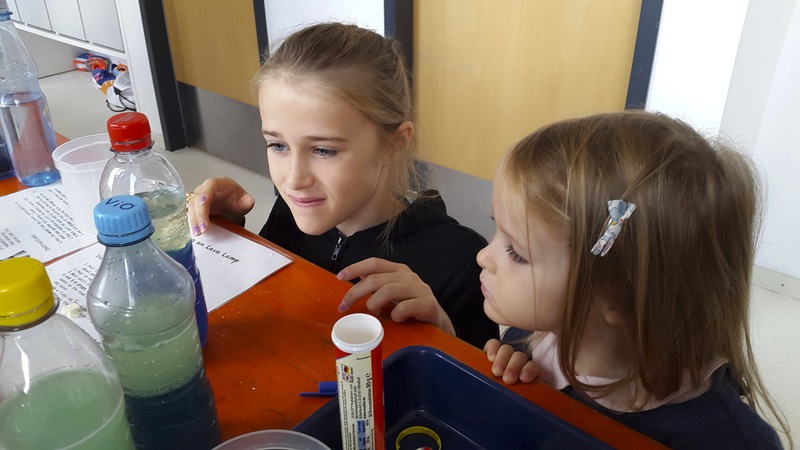 At the science booth, students enjoyed making their own “lava lamp mixtures”. Sumo wrestlers were showing of their muscles in the Gym. 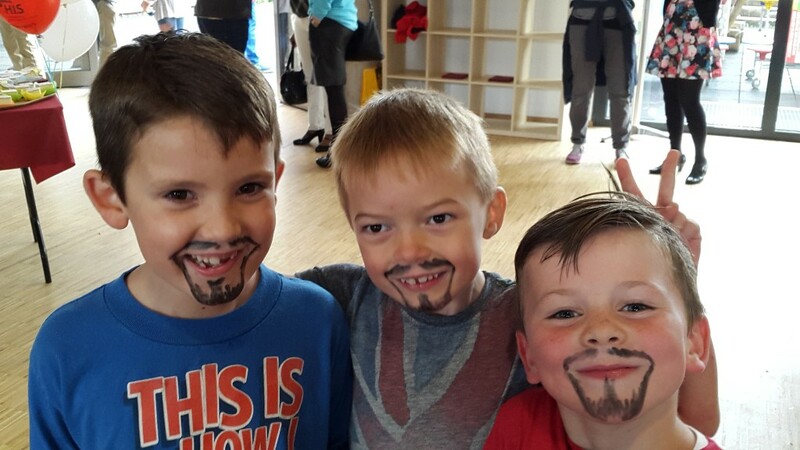 Beards were a must have at the Fun Fest, a visit at the face painting booth was all that was needed to grow one like Herr Bär. 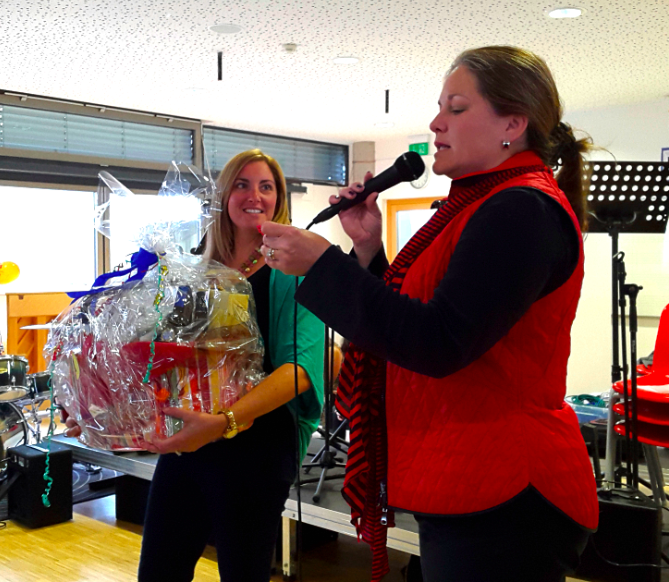 The PTG (Parent Teacher Group) supported several activities and announced the winners of the tombola. 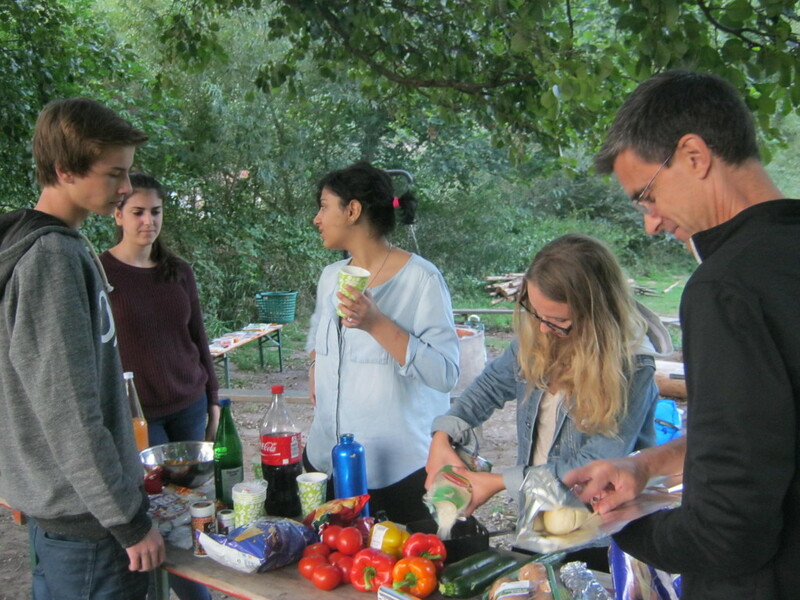 Delicious international food was prepared by parents and enjoyed by everyone. 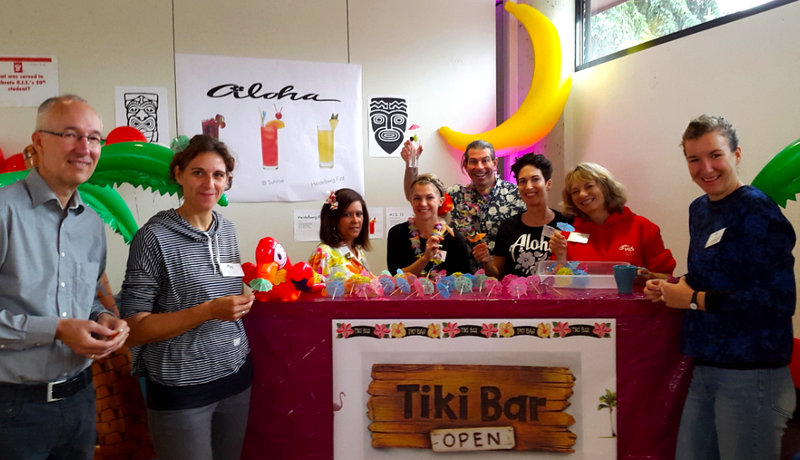 The Tiki Bar served alcohol free juicy long drinks, “bestseller” was the “IB Sunrise”. A huge thank you to all who helped make the Fun Fest a special event by providing food, supporting the activities, giving speeches, setting up and tidying up. 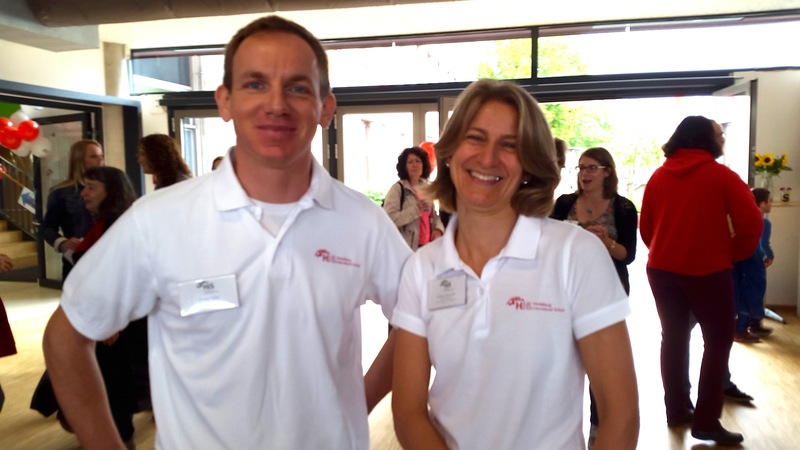 Thank you for “making a difference” on Saturday! 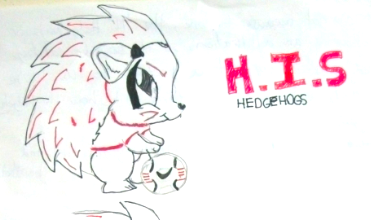 In 2007 H.I.S. became an IB World School when it was authorised to offer the IB Primary Years Programme (PYP). In the years since then, it has been proud to receive authorisation for the Diploma Programme (DP) and finally the Middle Years Programme (MYP). Thus joining a select group of schools in the world authorised to offer three IB programmes. Since IB authorisation, the Council of International Schools (CIS) and the New England Association of Schools and Colleges (NEASC) have also accredited the school. Many of you will have participated in our CIS/NEASC accreditation self-study, which we successfully completed last year. This school year we embark on another phase of development in our school’s improvement and quality-assurance, with an IB Multi-programme Evaluation. Each IB World School is regularly evaluated to ensure that the standards and practices of its IB programmes are being maintained. Evaluation takes place usually once every five years. 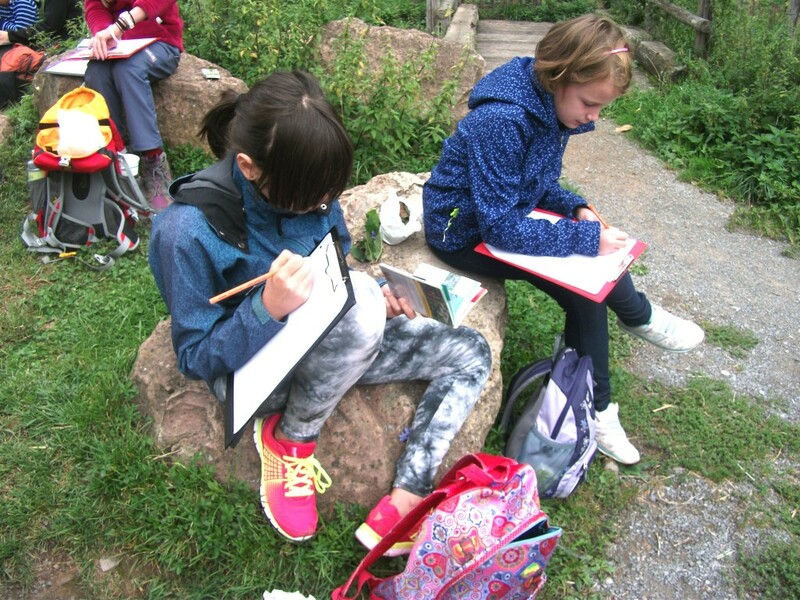 As part of the process, the school engages in a self-study that is a key element in the school’s continual improvement. On-going development for this evaluation started from the moment of authorization, as the school used the feedback it received to update its action plan to continue to improve the delivery of its IB programmes. Specific preparation and planning for this Multi-programme Evaluation commenced last year and has continued over the summer break. With the start of the new school year, the faculty has been focussing on a self-study that will provide us with an opportunity to assess the implementation of the three programmes, according to the IB’s Programme Standards and Practices and the specific requirements of the PYP, MYP and DP. This self-study will allow us to identify the major achievements during the period under review and to identify practices that may need further development. The IB Multi-programme Evaluation will culminate in a visit to the school by an IB programme evaluation team, which will spend three days at H.I.S. in October 2016. 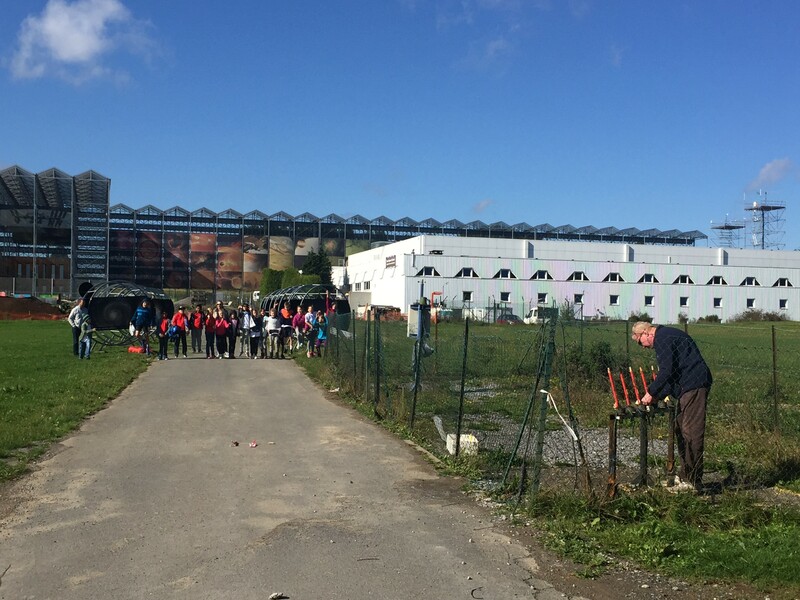 Whilst the bulk of the work for the self-study will be completed by the teaching staff, the parents, students, alumni, indeed the whole school community will be involved in some way over the next 12 months. You will receive further information about how and when you can be involved in this process in future newsletters. 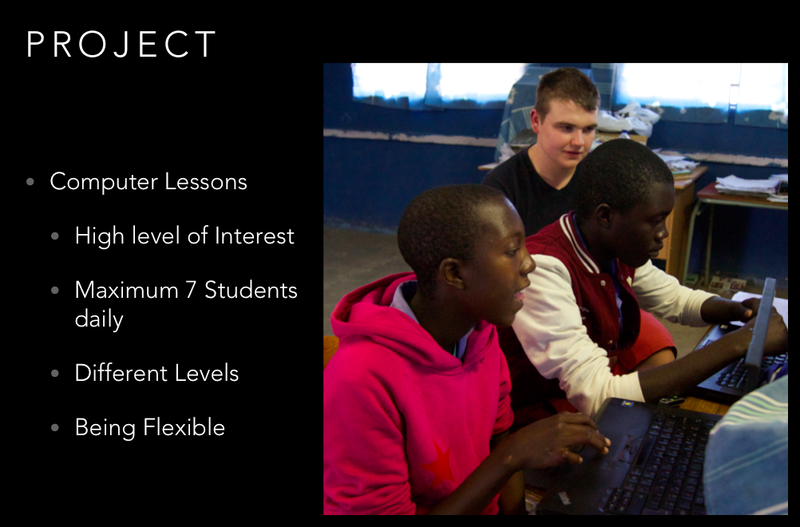 We look forward to the challenge of the IB Multi-programme Evaluation and the opportunities it provides for the enhancement of our IB programmes and the further development of our school. Roberto, Grade 12 Diploma student at H.I.S. 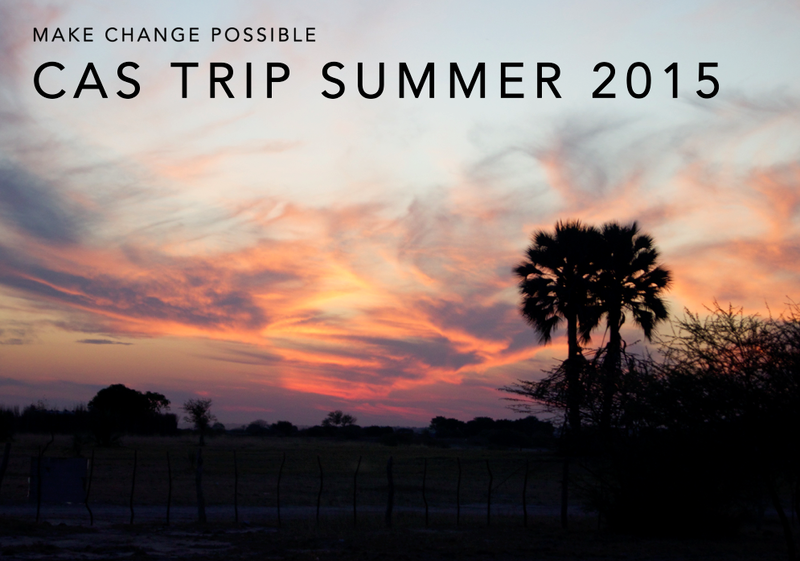 gave a presentation today about his CAS (Creativity Activity Service) trip to Mayana in Namibia. 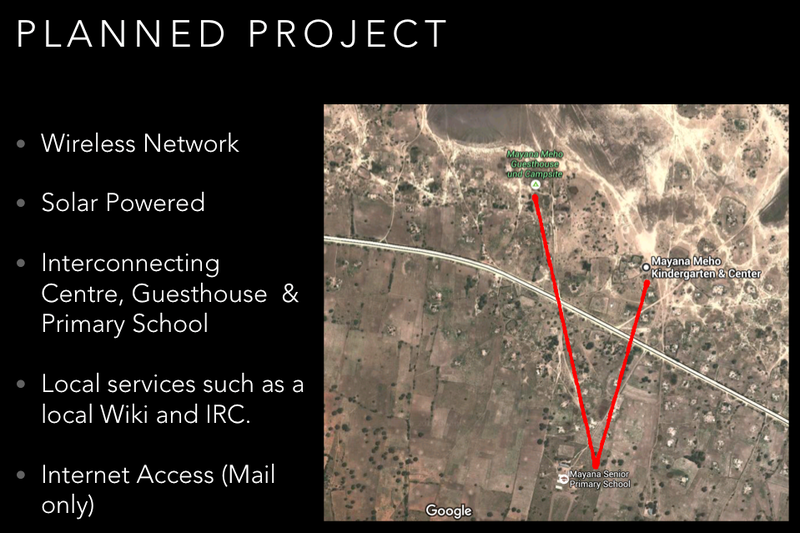 Here are some of his presentation slides that give an impression of what his project included. Roberto shared many interesting stories of how he helped to set up computers and gave computer lessons to interested students. 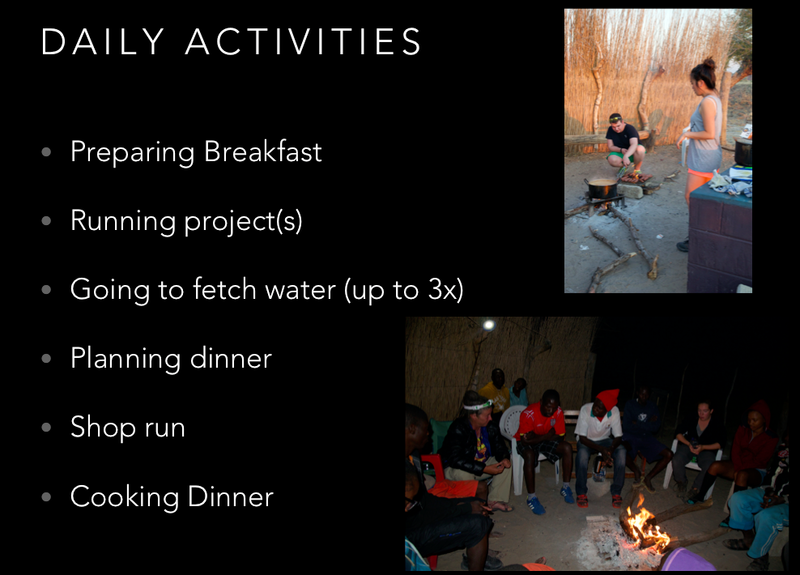 Apart from running his projects, Roberto had a list of daily household chores to take care off together with other students. 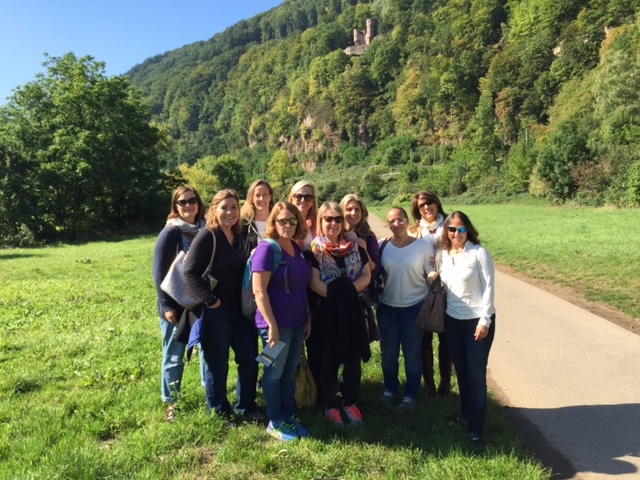 Several parents took a tour of Neckarsteinach today which was organized by the PTG. 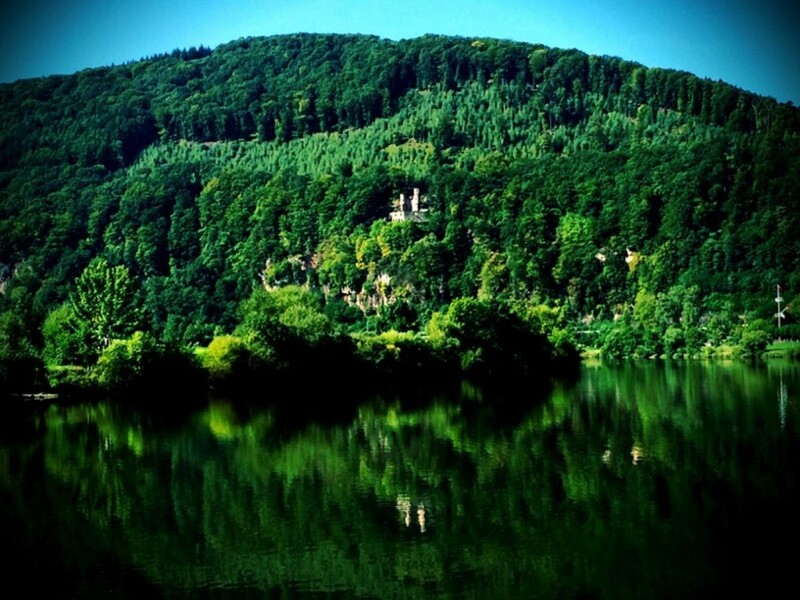 Neckarsteinach is quite an impressive sight as there are four old castles guarding this small city! 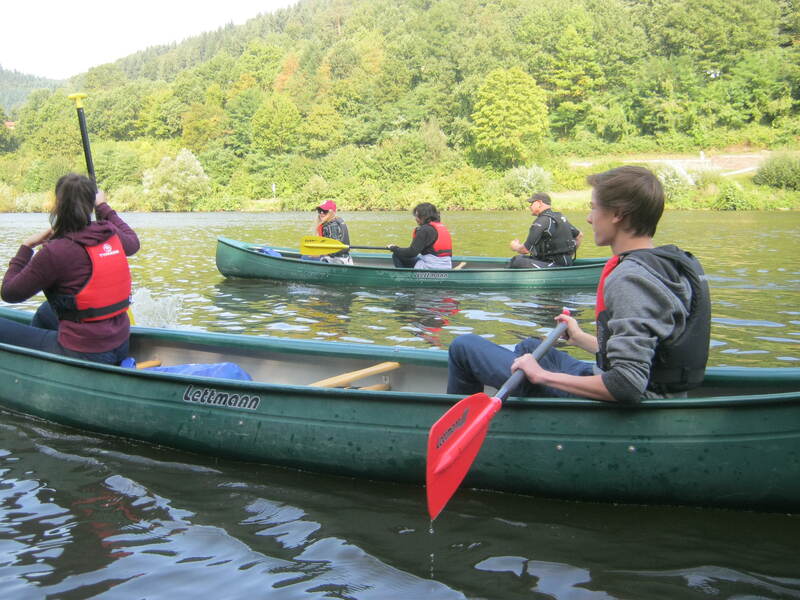 All of them situated along the narrow ridge overlooking the river Neckar and the town itself. 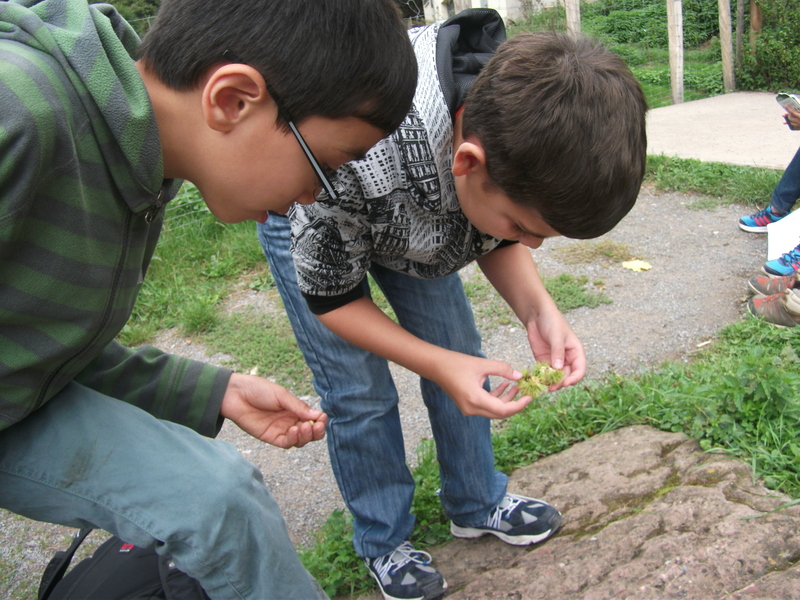 Our tour guide gave us Geological, cultural, historical and natural spatial observations. 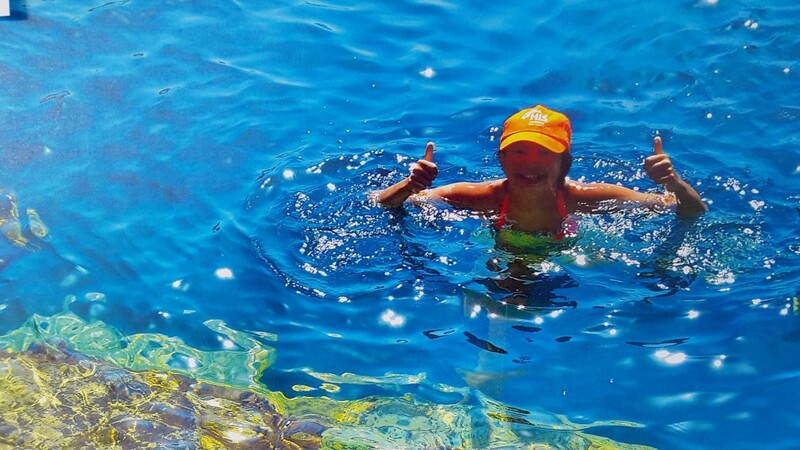 A big thank you to all photographers for bringing their “summer back to school” by submitting a photograph. All photos were special in their own way and the results of the vote clearly showed that they were all popular. Here are the photos voted top 5. All of the photos are still on display in school today and tomorrow! 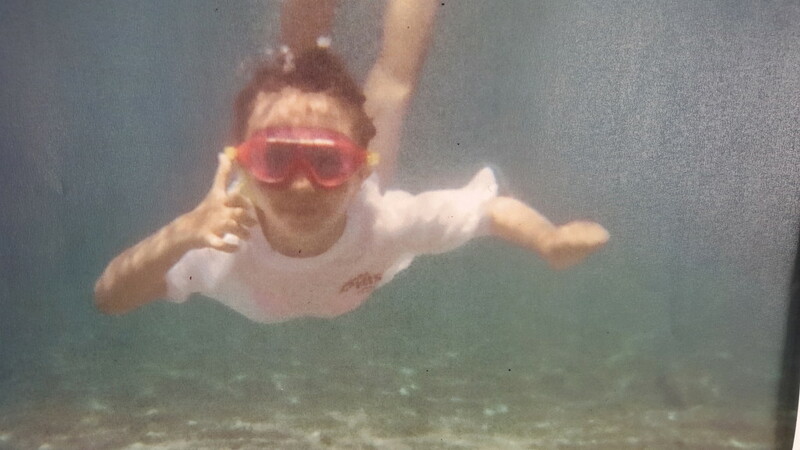 Thank you for making a difference by taking part in the photo competition and by voting for your favourite photo. 4. 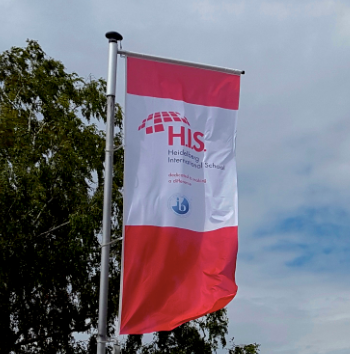 What is H.I.S.’s slogan? Dedicated to making a difference. 10. What was used for the initial ground breaking for this building? 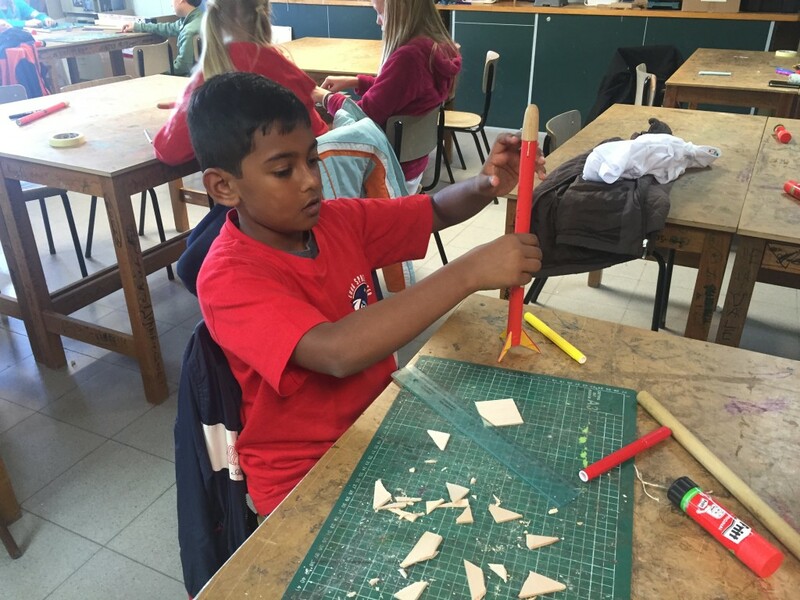 Mini-diggers – and every child had a turn! 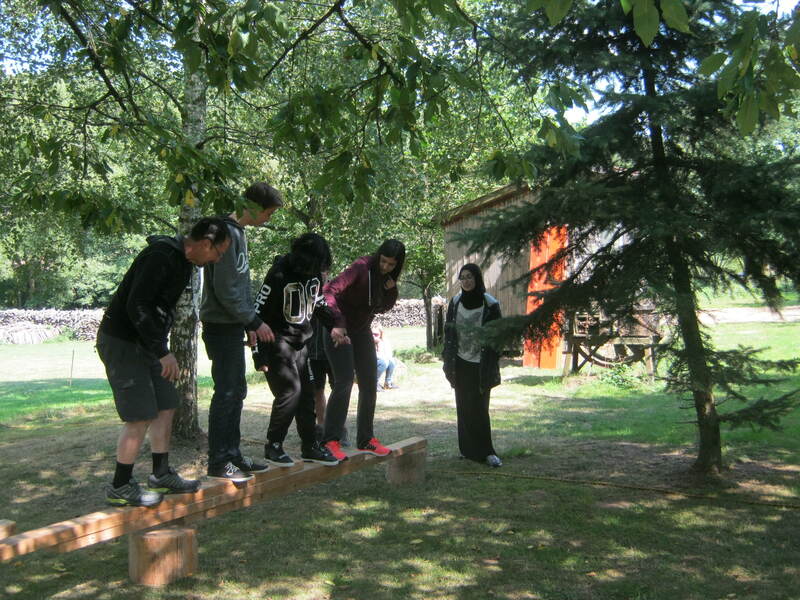 Every year the Grade 11 students are setting off for the Exordium, to do team-building activities and enjoy being out and about with their classmates. 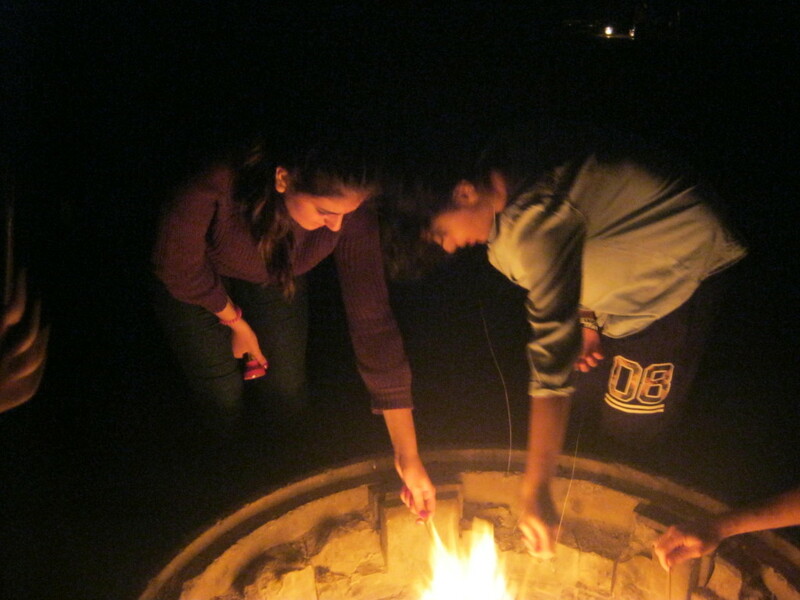 This experience gives the students the chance to “take a deep breath” before diving straight into studying for the IB Diploma. 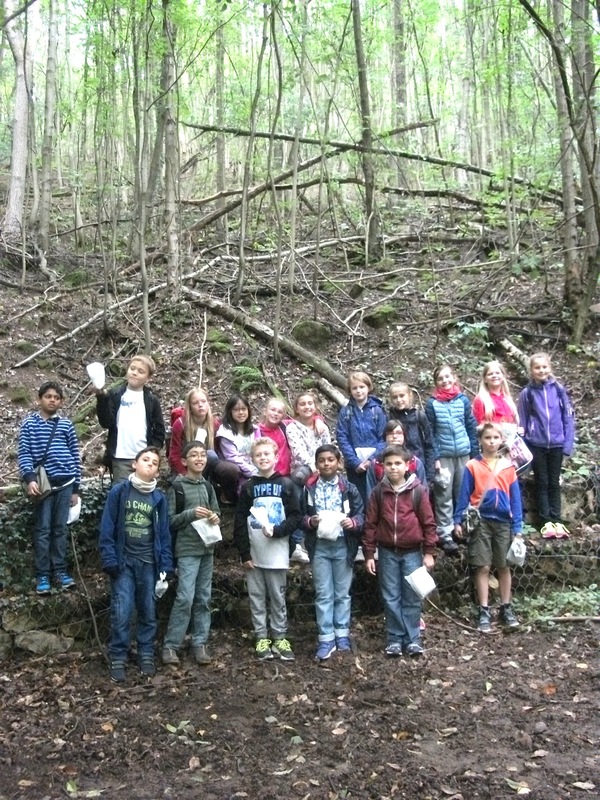 Our Grade 5 students spent a day together in the forest in Ziegelhausen. 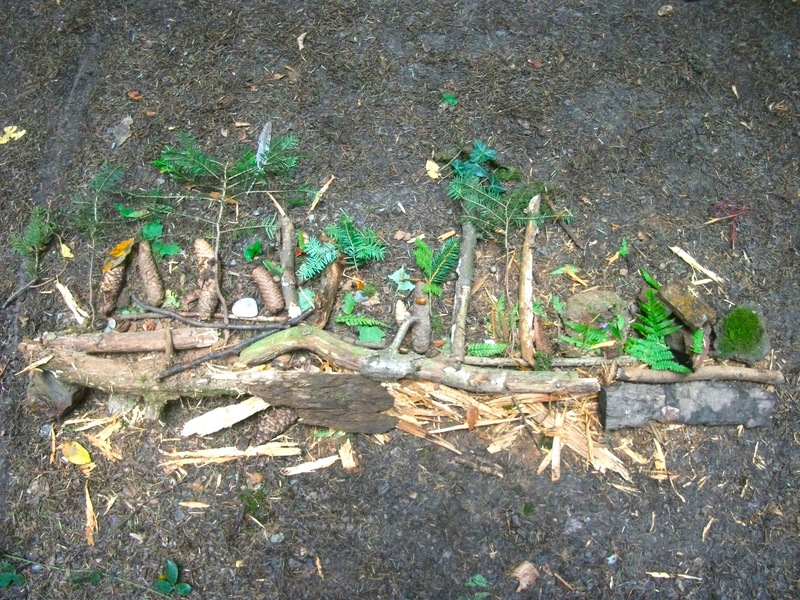 As part of the Unit of Inquiry: The Living Forest the students experienced walking blind-folded/bare feet through the forest, creating pieces of land art, collecting fruits, leafs, sticks and parts of dead animals and identifying their funds. Heidelberg. Am 15.9.2015 ist die 5. 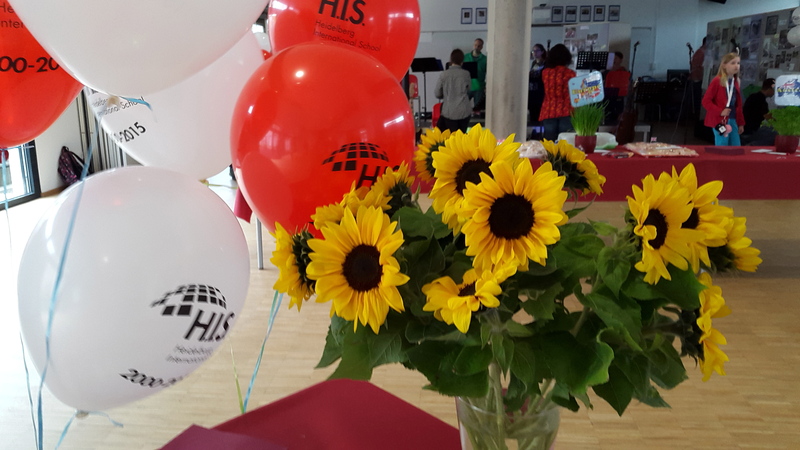 Klasse der H.I.S. gerade damit beschäftigt ihre zweite Aufgabe durchzuführen. 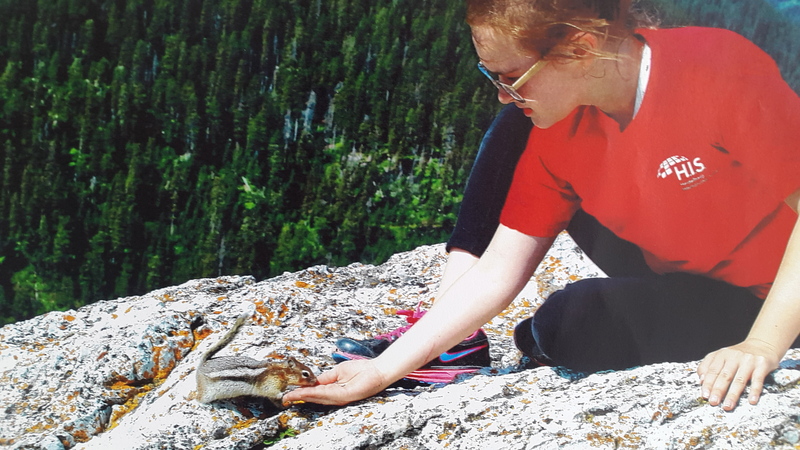 Ihre zweite Aufgabe besteht darin, Gemälde aus allem zu machen, was sie im Wald finden können. Beide Gruppen haben einen Teamleiter, nämlich Caleb Linke und Anton Schumacher. Bei dieser Aufgabe gab es eine witzige Sache: beide Gruppen hatten dieselbe Idee. Sie wollten aus Waldfundstücken einen Wald machen. Beide Gruppen benutzten Äste, Blätter, oder Stöcke mit Blättern als Bäume und Steine, Moos und Nüsse benutzten sie für andere Sachen. 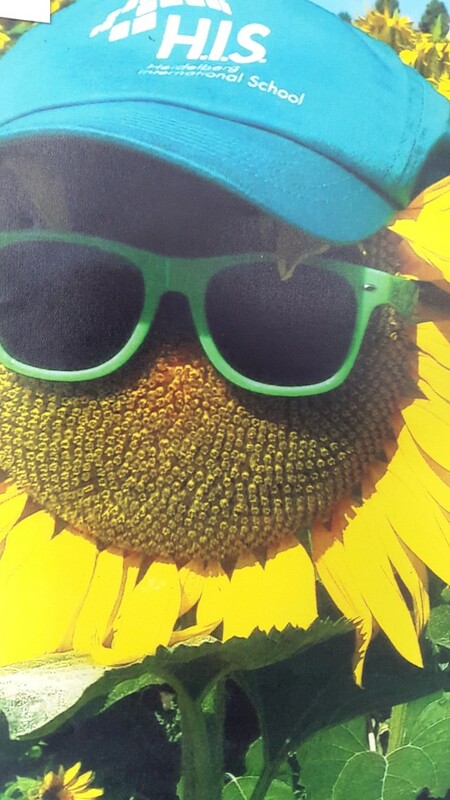 Beide Bilder waren sehr kreativ. 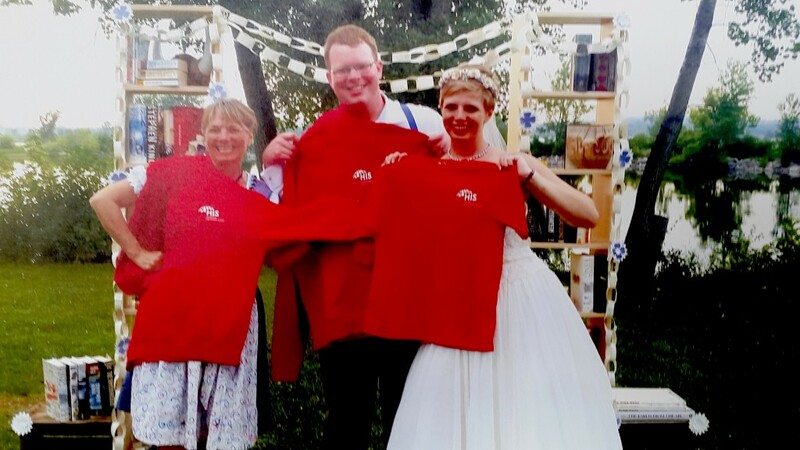 Jedoch zeigte das Bild von nur einer Gruppe mehr Vielfalt und hatte deswegen gewonnen. 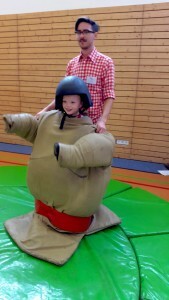 Danach machten sich die Schüler auf zu ihrer nächsten Aufgabe. Im Wald wurde etwas gefunden, das niemand erklären konnte. Anton Schumacher. Ziegelhausen. Zwei Gruppen von Fünftklässlern hatten den Auftrag Bilder aus Waldfundstücken zu malen. 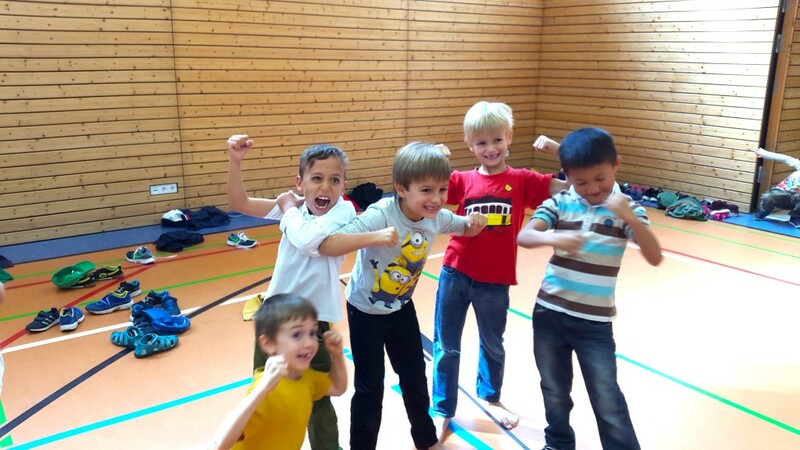 Dabei fand eine Gruppe eine gelbe Flüssigkeit. Es wurde gesagt, dass es sich um Senf handelte. Aber Senf mitten im Wald? Manche dachten, es wäre Tiererbrochenes. Niemand wusste es genau und es wurde noch keine Erklärung gefunden.